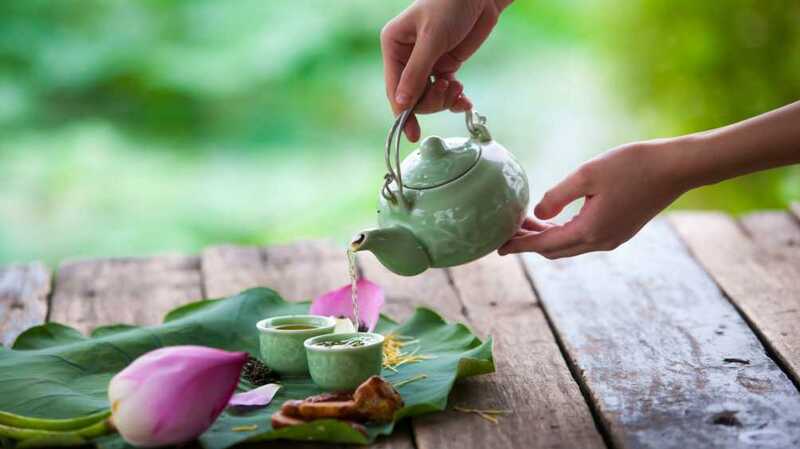 Bat Trang tea set is used to serve Vietnamse lotus tea. Location: The lotus pond in West Lake, Ho Tay, Hanoi, Vietnam. Summer 2014 Those beautiful pictures are from Photographer Le Bich.